China and India top the list which gives details of more than 25,000 foreign professionals who are being permitted to work in Sri Lanka in various fields on resident visas, Immigration and Emigration Controller General, Nihal Ranasinghe disclosed. He said professionals from many countries were working in Sri Lanka under various job categories in several industries. These professionals ranging from top level managers, senior executives, junior executives, skilled labourers and support staff have been issued resident visas or work visas to work in the country depending on their job requirements. 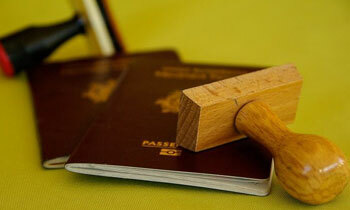 Mr. Ranasinghe said the resident visas range from three months to six months and from one year to two years or more. The various sectors include BOI (Board of Investment) approved companies, government projects like the port city, construction of colossal commercial establishments and skyscrapers in Colombo City. GOSL didn't blame others. But Indian governments blaming all others while keeping their red tapes tight for foreign professionals. Who said no tax for them? We need more foreign profession to lead the Govt own entities. Local are big buffers only. Indians draw 10 times salary than local CEOs.They are robbing our country in broad day light. They come under BOO visa and break all rules spouses doing jobs or running businesses. Total is much more than 25000, mainly in skilled and unskilled grades with a few hundred professionals like doctors, engineers, accountants. I see a lot of Chinese workers leaving early daily to construction building sites for work as early that 7.30 AM. or even earlier than that. Looks like our workers have become professionals and are of more demand and come when ever they want.